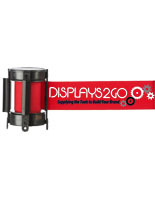 This custom printed retractable red stanchion belt features a custom design, graphic, logo or messaging silkscreened in one color. Each replacement barrier is made specifically for the QueuePole.Economy line of crowd control barrier systems. 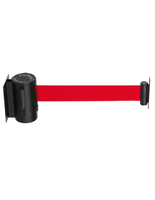 The 1/color imprint retractable red stanchion belt is a replacement cartridge that simply screws on to the post-top for a secure fit. The brightly colored red nylon fixture extends up to 6.5' feet as needed. 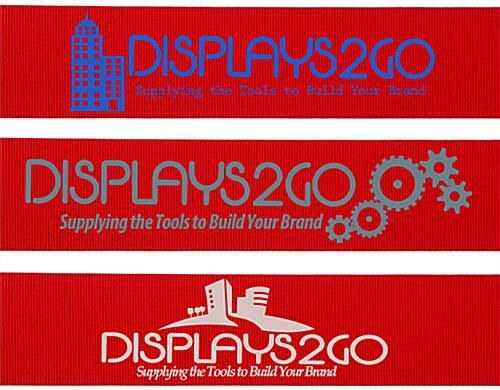 This customized retractable red stanchion belt can be imprinted on one or both sides. 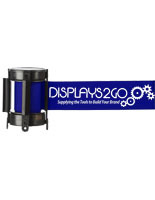 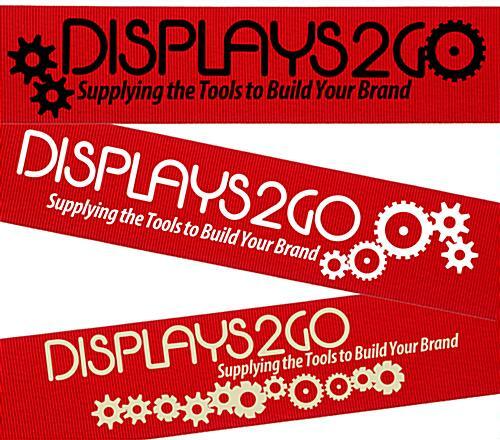 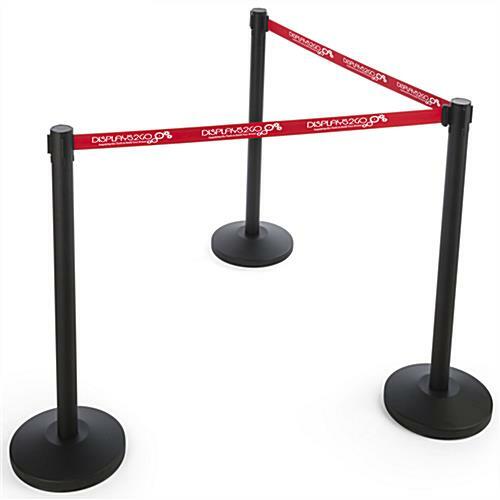 Graphics, logos and other branded messaging will draw customer attention to the brightly colored nylon webbing stanchion accessory. Please Note: This unit is a replacement cartridge for QueuePole.Economy Stanchions ONLY. 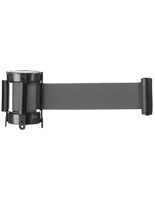 Cassette is not compatible with any other QueuePole Stanchion or crowd control equipment.